Your child already cycles independently from time to time but still prefers to enjoy the adventure safely behind you on the back of your bike? It's time for the Yepp Junior. 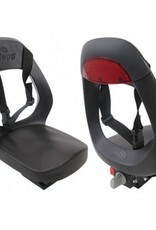 The Yepp Junior combines a trendy design with a comfortable soft seat. 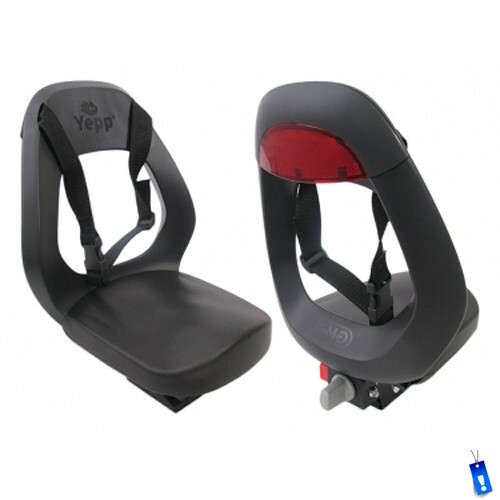 The lap belt, sturdy folding footrests and large reflector not only make the Yepp Junior safe but also super cool. Carries a child up to 75lbs. 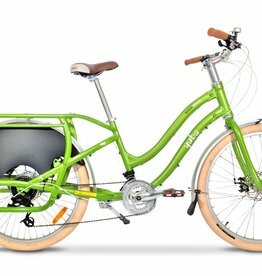 Made to fit with most Yuba Bike models and Xtracycle Edgerunner and Leap with adapters. "With our newest Boda Boda V3, we’ve found a way to do it all: we've made a cargo bike that's both nimble and solid, without compromising on astonishing carrying capacity." 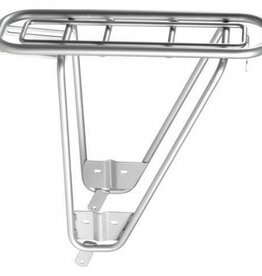 Rear rack made to support a Yepp Maxi or Yepp Junior child seat. 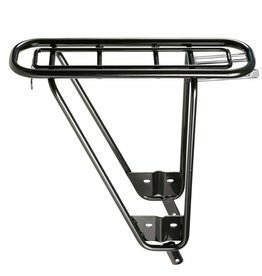 Strong and sturdy, it can carry up to 77lbs.